When you think of Yellowstone National Park, everyone immediately thinks of Old Faithful, but there is so much more to do and see than that. In fact, there is so much more and so much ground to cover, it can be slightly overwhelming. 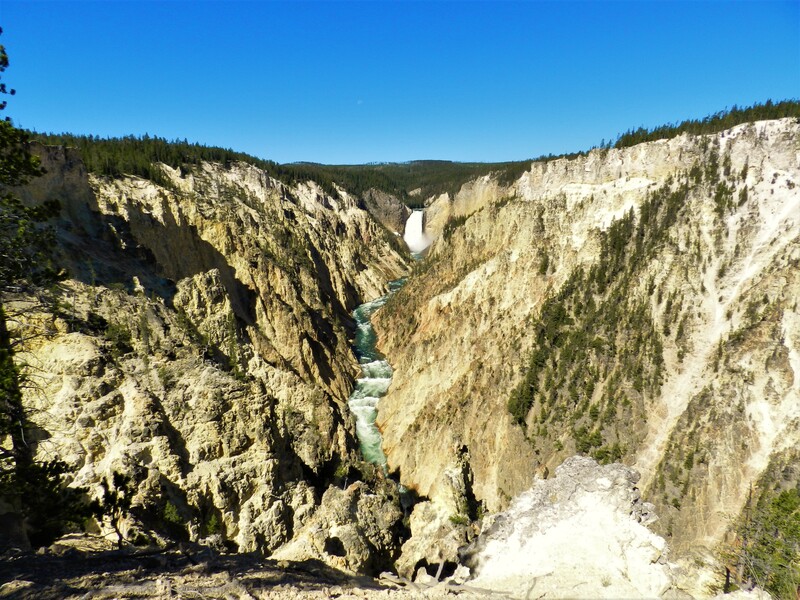 Yellowstone covers over 2 million acres, and it is really impossible to see everything in one visit. When we visited in the summer of 2016, we spent 5 full days in the park and we saw enough to make us want to return to see more. 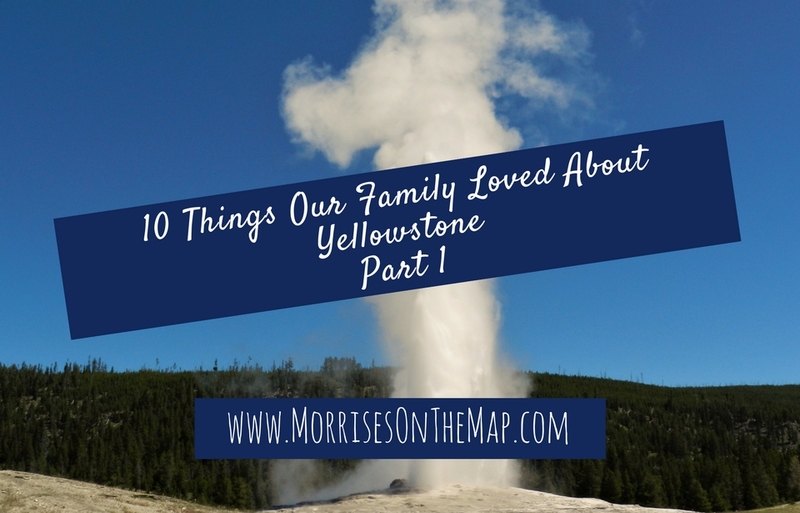 We wanted to share our top 10 things we loved about Yellowstone to hopefully help you have as much fun as we did. Drum roll, please….here are the first five. 1. 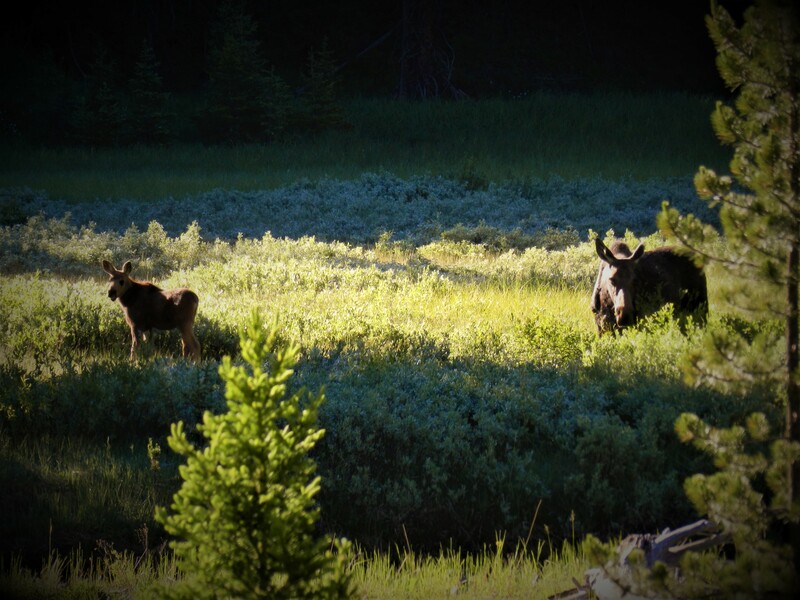 When I asked my family the number one thing they loved about Yellowstone, each of them immediately said wildlife viewing. 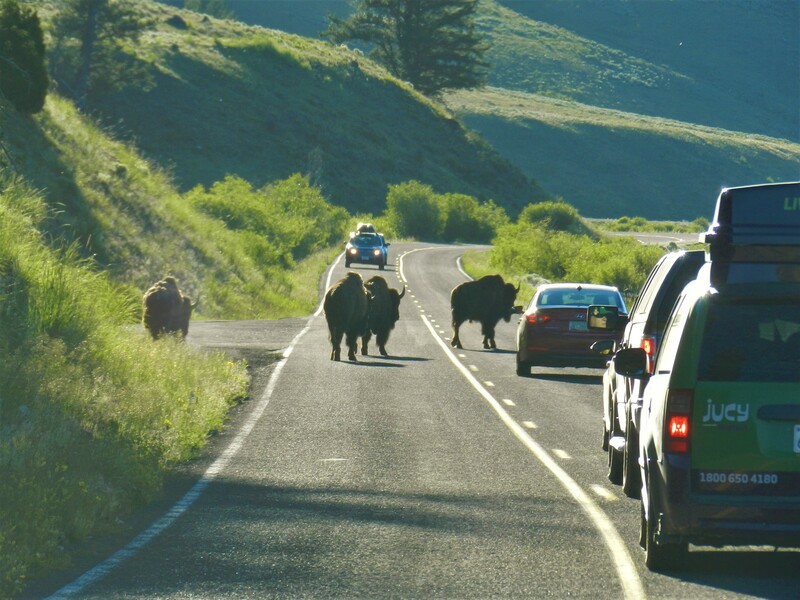 Wildlife can be seen anywhere in the park, and it is not uncommon to have a traffic jam caused by bison. The most popular places to look for wildlife are in Lamar Valley and Hayden Valley. Drive through either of these during the early morning or in the evening and you are sure to see a menagerie of wild animals. When we drove through Lamar Valley, we went in the early morning. We saw a ton of bison, elk and antelope. Just on the other side of the valley we saw a momma moose and her calf. We drove through Lamar Valley in the evening on our last day at Yellowstone. The sunset was amazing! It was day 5, and we had yet to see a bear. We kept hearing people tell stories about bear they had seen, so we were on a quest to find one. We saw many bison and elk as we drove through. We were almost through the Valley when we were starting to think we would never see a bear. Then, as we went over a hill, we saw some cars stopped and people pointing. We turned to look and saw a grizzly bear just rambling along. We watched him for a while, and he acted like he couldn’t care less that there was a line of cars following him and documenting his every move. We then drove a little further and saw another large group of people out of their cars and taking pictures. We got out to see what they were looking at and they pointed out a gray wolf. Since this is J’s favorite animal, he was super excited. Unfortunately, the sun was going down and it was too far away for our camera so the only pictures we have look like a little gray blob. 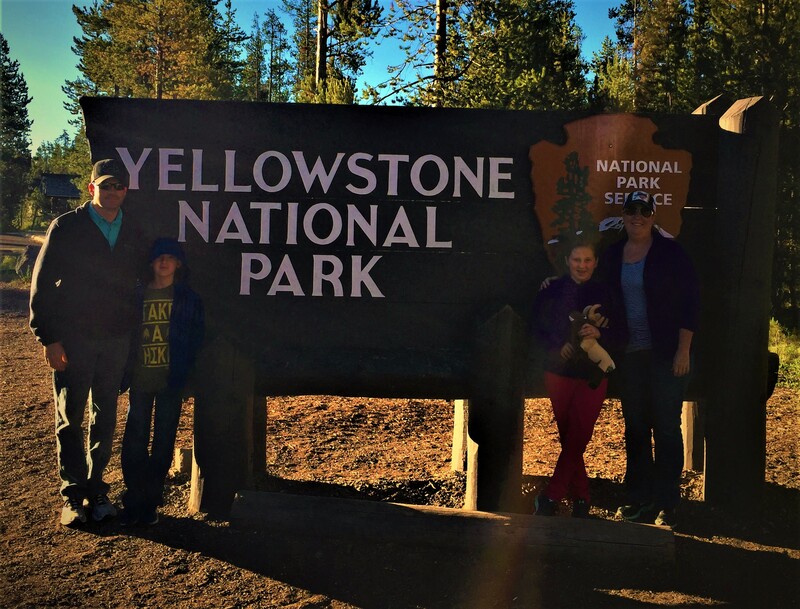 It was our last day…and we saw a grizzly and a gray wolf! Our quest to see a bear was fulfilled and seeing a grey wolf was a bonus! That was a great day in the park! Get everyone in the family binoculars. Who wants to have to wait to share when there are animals to be seen? Watch for cars slowing down or stopped on the side of the road. Carry bear spray while hiking in backcountry or picnicking. 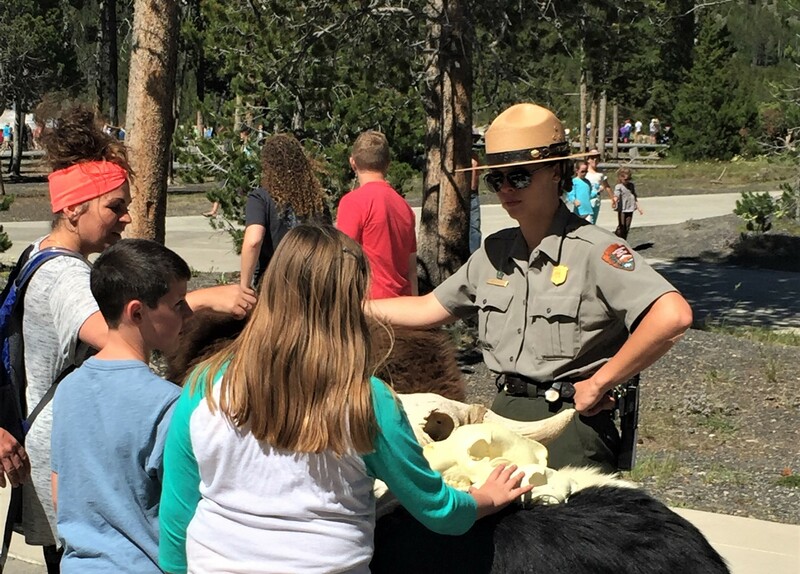 Follow all park service guidelines for your safety and the safety of the animals. 2. We thought the Grand Canyon of Yellowstone was the prettiest part of the park. Make sure you drive both the North and South Rim Scenic Drives. There are many overlooks and all of them are worth a stop. We enjoyed the Red Rock Point Trail. This trail starts at Lookout Point on the North Rim Scenic Drive. You have a great view of the Lower Falls at the end of the trail. On the South Rim Drive, be sure to stop at Artist Point and then, if you are adventurous, take a hike down Uncle Tom’s Trail. 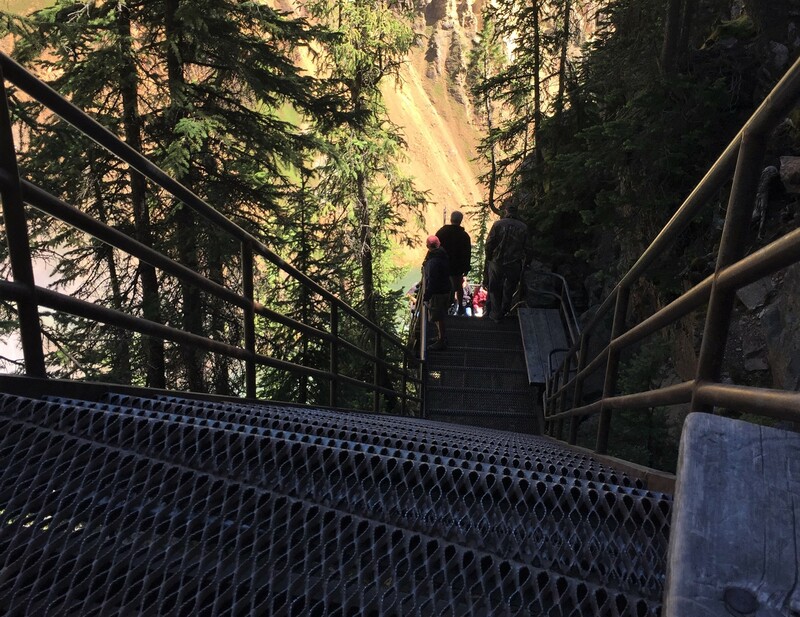 This trail goes down 328 steps to see an amazing view of the falls that is well worth the trip back up the 328 steps. This was one of our favorite trails, but, man, was it a workout! 3. 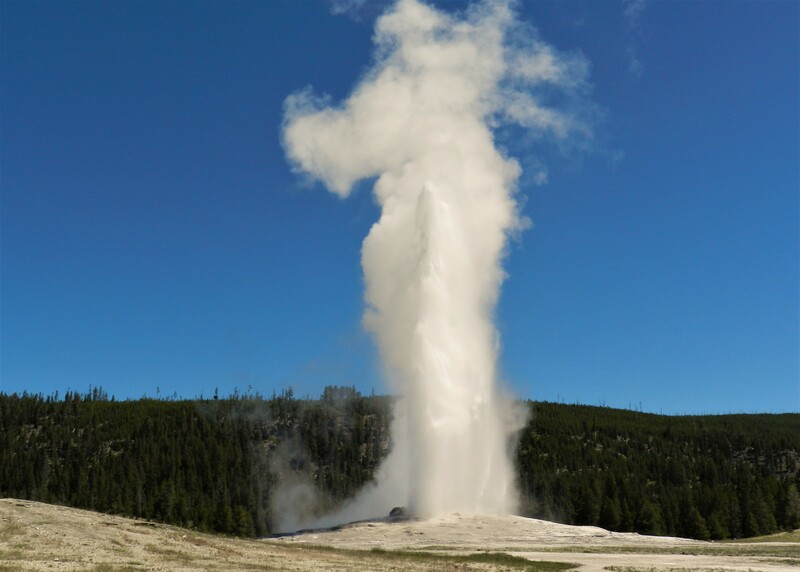 Old Faithful is a favorite of everyone visiting Yellowstone, so beat the crowds and arrive early. You will find a sign in the Old Faithful Visitor Center announcing the estimated time of the next eruption. We just got to see the end of our first eruption, because the time was off by about 5 minutes. 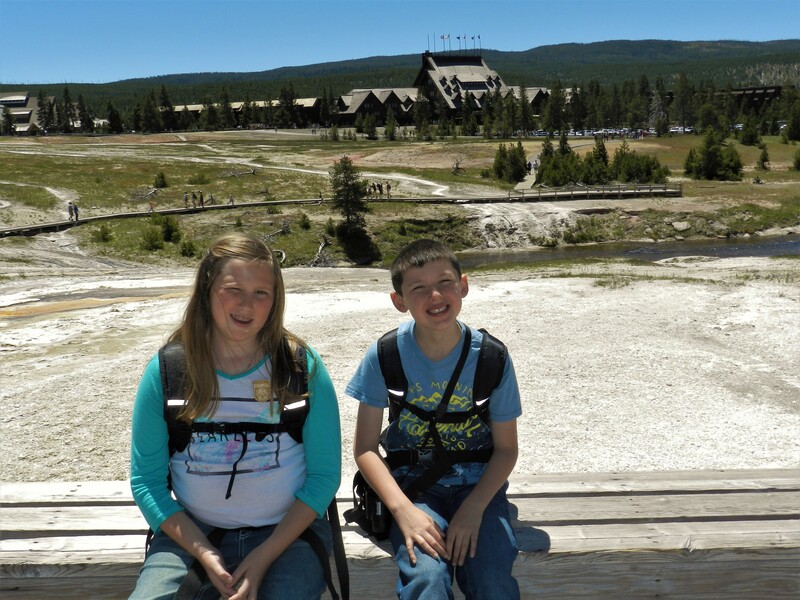 After watching Old Faithful, we enjoyed a walk around the 1.3 mile Geyser Hill Loop. The boardwalk leads you past the Castle, Grand, Riverside and Daisy geysers, along with Morning Glory Pool. The Castle Geyser was one of our favorites. While in the Old Faithful area, be sure to walk through the Old Faithful Inn. This historic inn, built 1903-1904, is considered to be the largest log structure in the world. While waiting for the next eruption, the visitor center is a great place to listen to a ranger talk or visit the exhibits inside. Our kids enjoyed the Junior Scientist section. We planned on spending a morning in the Old Faithful area, but ended up spending an entire day. 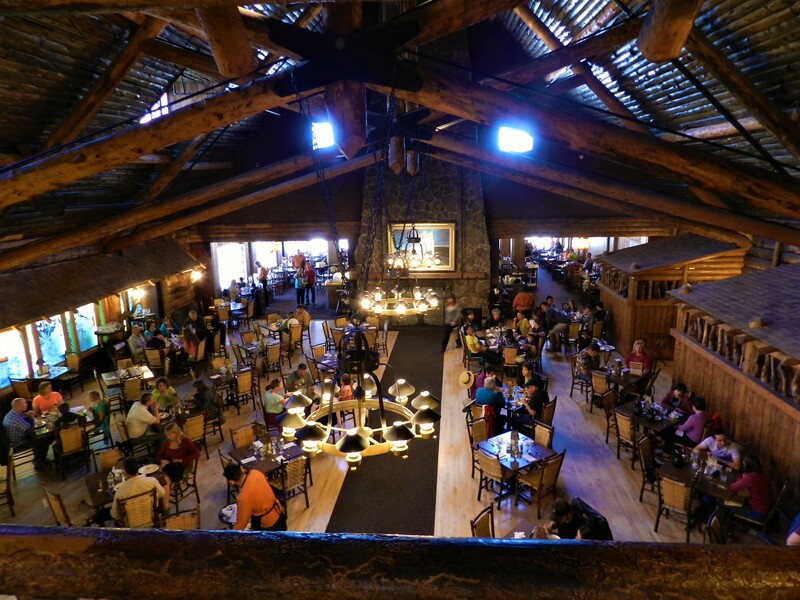 If you plan on eating at the Old Faithful Inn Dining Room, make reservations in advance! But if you don’t have reservations, make sure you ask. We asked around 3:00 and were able to get a reservation for 5:00. 4. One of our favorite things at all of the National Parks is attending Ranger Talks. 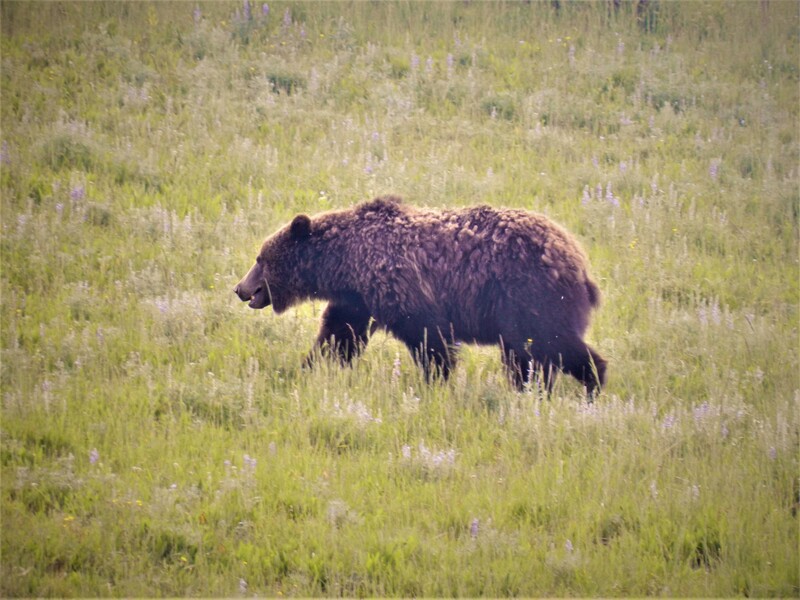 If you have not hiked in bear country or are unfamiliar with the animals in the park, there are always talks being given at any of the visitor centers about the park’s wildlife. Our favorite Ranger Talk we attended was on the night we arrived at the visitor center in West Yellowstone. We were excited to learn more about the park and were not disappointed. The Ranger spoke about the geological history of the park and stressed the safety of staying on the boardwalks in the geyser basins. The good thing about this Ranger talk is it gave the kids enough information to make them understand they must stay on the boardwalk for their safety, and we never had to remind them to stay on the boardwalk. We attended several Ranger Talks and each one was informative. Several asked for volunteers to help, which of course our kids were always quick to raise their hands. 5. We felt the West Thumb Geyser Basin was one of the prettiest basins, but it is one of the smallest. 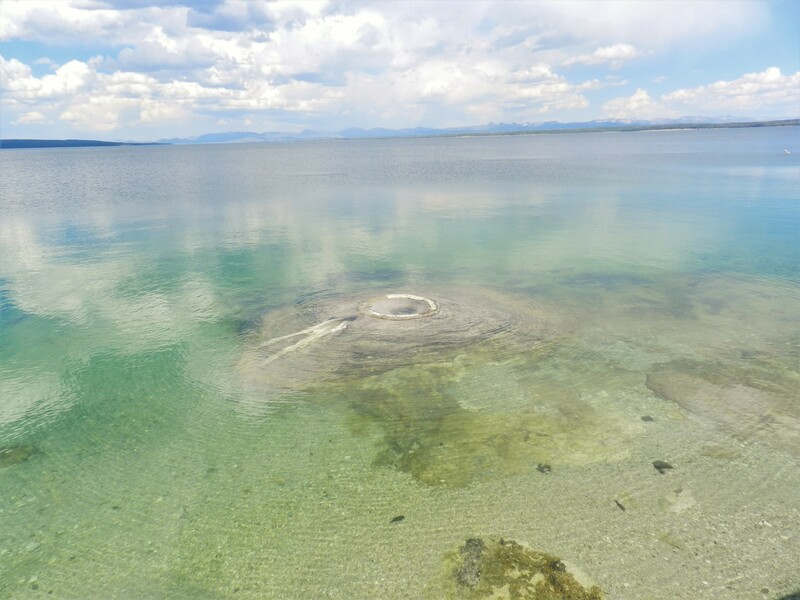 Sitting alongside Yellowstone Lake, the views of the lake from the boardwalk are beautiful. One of the most interesting features was the Fishing Cone located in the lake. Early explorers were said to have caught trout and parboiled them in the Fishing Cone. 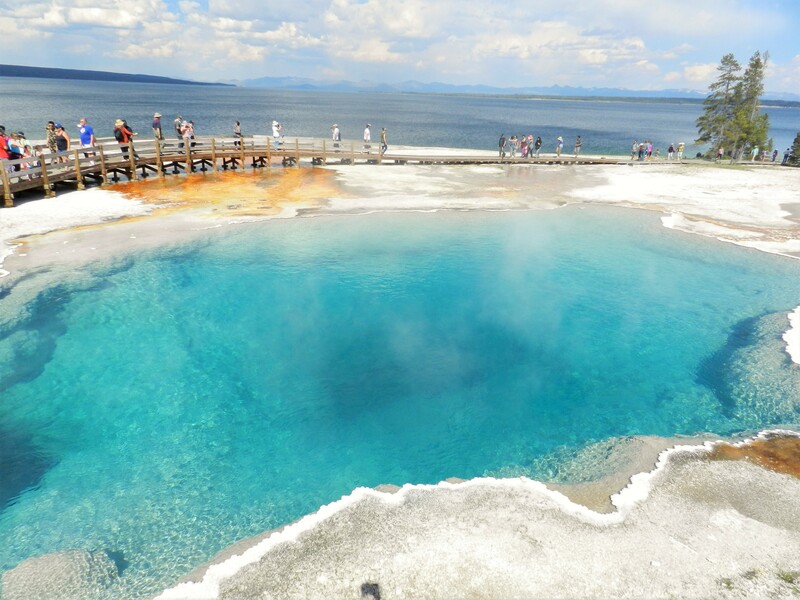 The Abyss Pool is one of the deepest pools in Yellowstone and looks like a bottomless swimming pool. Walking along the boardwalk you will also see the Black Pool, paint pots and several other thermal features. One of the great things about all of the basins is you can usually find Rangers walking around the boardwalks. They are always willing to answer any questions and usually have some interesting stories to tell. There are so many things to do at Yellowstone that if you tried to do them all it would take a lifetime. Which might not be a bad thing! Click here to learn the rest of our top 10 things to do in Yellowstone. This post may contain affiliate links. For more information, read our disclosure policy here. Don't miss anything!  Join our mailing list so we can let you know when we update our blog.